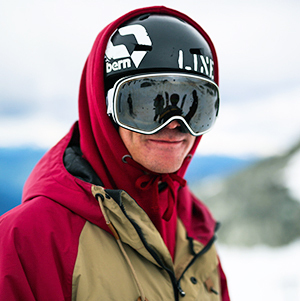 Best known for co-creating one of skiing’s most popular webisode series, LINE Traveling Circus, Will is one of freeskiing’s most influential figures. Encouraging kids all around the world to get creative on their skis, whether they have access to a ski resort or not. Will began his filming career in Vermont with Meathead Films/Ski the East and has continued to film with Level 1 Productions for the past 10 years. Will also has an X-games Real Ski gold medal and a Powder Magazine ‘Best Jib Award’ under his belt.